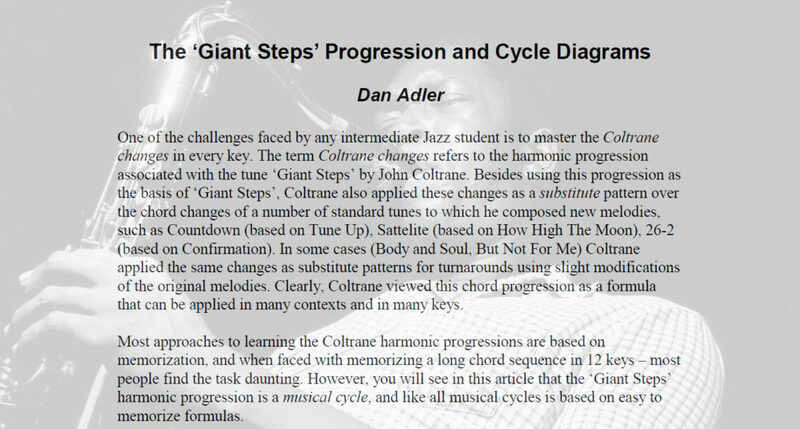 Cycles opens a downloadable link to The ‘Giant Steps’ Progression and Cycle Diagrams 12 page pdf by Dan Adler. Dan started to investigate musical cycles systematically following a master class by the great alto saxophonist Gary Bartz at Michiko Rehearsal Studios in NYC, where he made the statement that all the secrets of Jazz harmonic progressions and substitutions can be deduced from studying cycles. 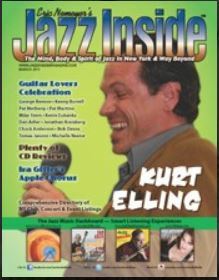 Here is a link to an Interview with Dan Adler in Jazz Inside Magazine, Guitar Lovers’ Celebration, March 2011. 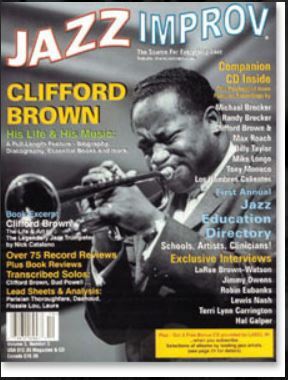 WikiPedia mentions Dan Adler’s Cycles article (see below) in two entries: Interval Cycles and Coltrane Changes.